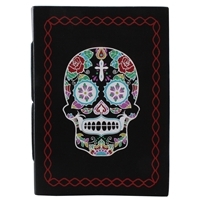 Large selection of stationery items like journals, paperweights and desk accessories. 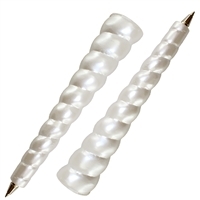 Choose from themed pens, branch pencils,natural paper note cards, wholesale magifying glasses and letter openers. Vintage style metal card, note or photo holder. Comes with 6 "Thank You" cards for display. Unicorn King writing pen with original fantasy story on the backside of each hangcard! 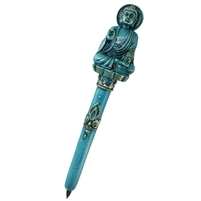 Blue Buddha pen with gold accents. Each pen comes with original design hangcard. 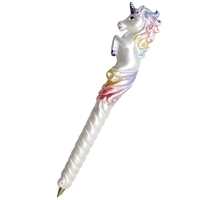 Lucky unicorn horn pen with original fantasy story on the back of each hangcard! Smooth rose brown leather journal with strap closure. Handmade - Finish is unique. 2 minimum. Please order is increments of 2,4,6,etc.. Smooth rose brown leather journal. 2 minimum. Order in increments of 2,4,6. Brown embossed leather journal with a cross on the cover & beautiful alternate design on the back. Page flap and string tie attached.Handmade - Finish is unique. Smooth light brown leather journal with inner pockets.